of their 25th wedding anniversary. “I came to Indian Head from Ontario with my parents, G. Thomas Smith, his wife and eight children. Thomas was originally from England where he was born on May 31, 1851. We arrived at Indian Head on March 1, 1894. We lived on a farm in the Rose Valley District* which my father had rented. We had left a large house and ten of us lived for two years in a two-room house. The upstairs was unfinished and in winter nailheads were covered with frost, but after two years the owner added three more rooms. freezing for 5 months of the year. Note the grain elevators in the background. In October 1897, George and Louisa had another daughter, Beatrice Ethel. 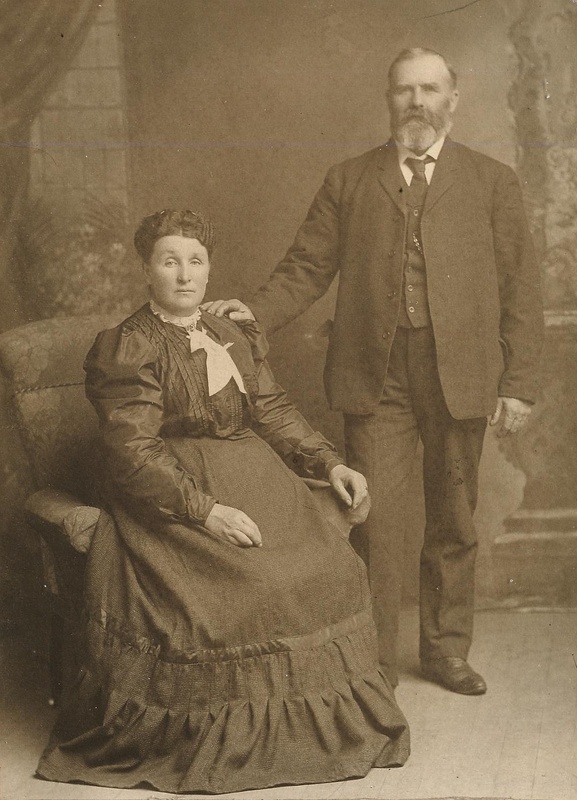 And a few months later, in May 1898, they acquired their first son-in-law, when their second daughter, 20 year old Maud, married William George Bennett. 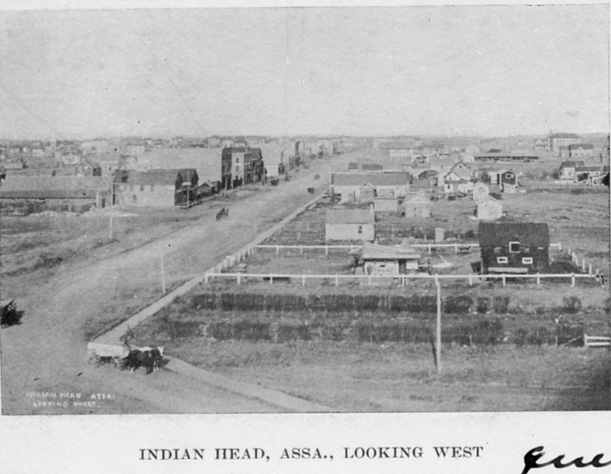 The town of Indian Head would have looked something like this when the family arrived. 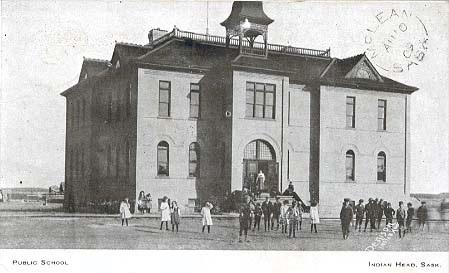 This is the second school Bessie mentioned, which opened in 1901. 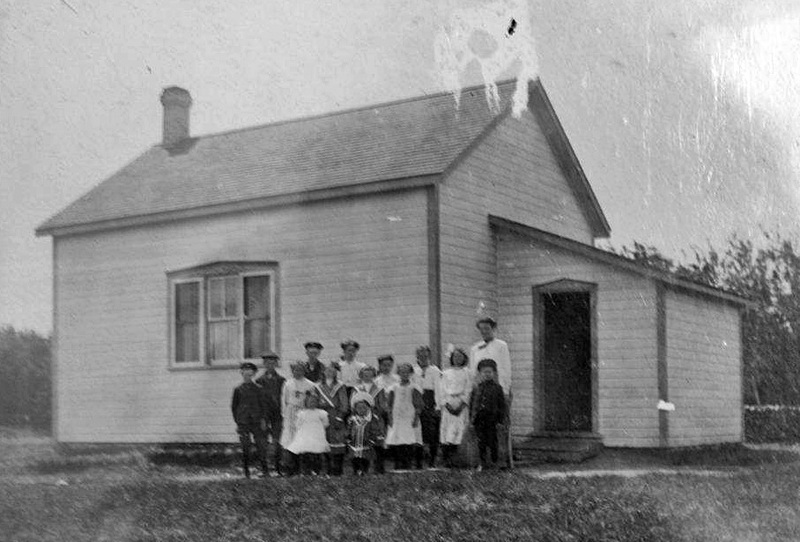 The family left Rose Valley in 1898 or 99. I haven't yet found the exact size or location of the land George bought south of Indian Head, but I've been told it was near the government's Experimental Farm, which was established in 1887. Its intent was to meet the needs of new settlers for reliable information on the best farming methods and practices for local conditions. 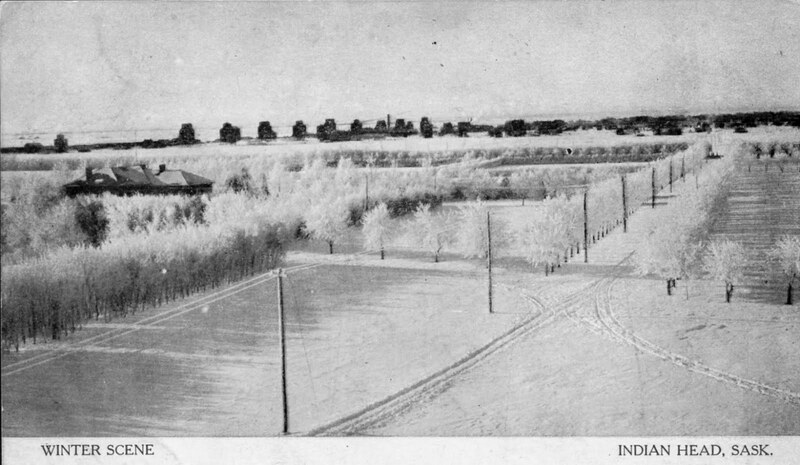 Long-term studies with field crops, animal husbandry and horticulture were undertaken, and no doubt George, among many other farmers, benefited from them. In April 1899, George and Louisa's final child, Audrey May, was born. And just four months later, when George was 47 and Louisa not yet 44, their first grandchild, James Bennett, was born. 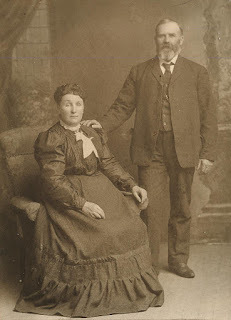 In April 1900, George and Louisa celebrated their 25th wedding anniversary. 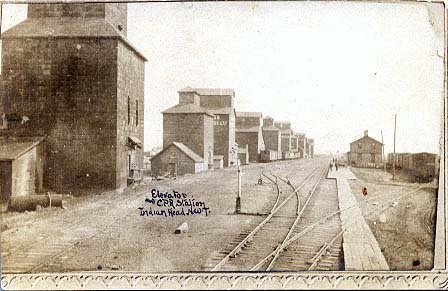 Indian Head grain elevators and train station, around 1905. The family stayed on their farm for about six years, at a good time for growing wheat. 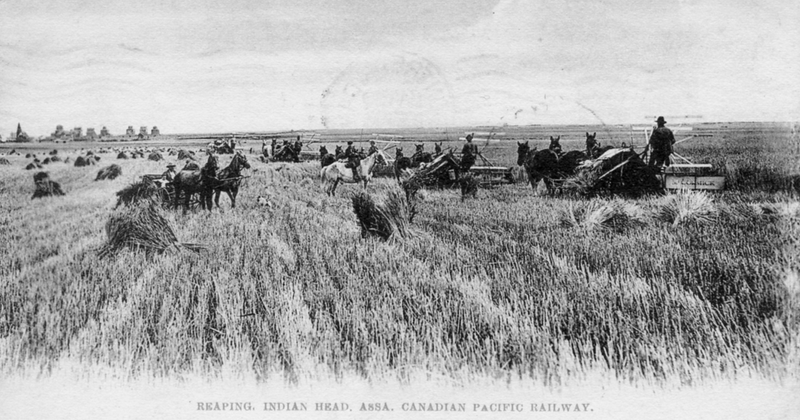 According to the Department of Agriculture, the Indian Head district ranked highest for wheat production in Saskatchewan in 1903, 1904 and 1905. A Board of Trade pamphlet from 1905 proclaimed it as the best wheat producing district on earth. For a town with a population of 1,800 in 1905, it boasted twelve grain elevators which were erected along the Canadian Pacific Railway, with each elevator having the capacity to hold approximately 350,000 bushels. This location handled a higher quantity of grain in 1902 in the initial shipment stage than any other inland port in the world. (2) Hopefully, lots of that grain came from George's farm! He had another wedding to pay for during this time - In 1902, 27 year old Clara married Archie Adair. Archie and his father, John, had lived near George's family in Ontario, and it's quite likely that Archie and Clara met there. They soon started their own family - Murray Adair was born in 1903 (but died only 8 months later), and his brother James in 1905. And also in 1905, George was on the move again.